"Tis the season of ghosts." We all know December as a month of holidays. But we should all know it is a time when many ghosts return to check up on family and how life and the world had managed and changed without them. Many ghost sightings and encounters with strange paranormal or supernatural occurrences seem to happen in this month. But all seem to have some special message or comforting aspect that many cannot ignore. On the other hand there or ghosts that also return with evil intention to inflict upon the living. Those many call the real ghosts of regret and horror. Many refer to them as the unfashionably dead, meaning this that come back to see what horror or the effects of them not being around have on the living. Such remorseful ghosts or disembodied spirits often wreck real havoc on a living person emotionally and physically. They in truth will haunt you to the point of your own collapse mental breakdown or your own seasonal tragic end. sometimes these lasting effects take time to overcome a person. and the actual gift of undue distress does not take effect until a few months have past. often swinging the haunted into a great mass depression that effects their lives and all those they come in contact with. Necromancer Lisa Lee Harp Waugh has spoken often of this as being likened to a haunted virus that the dead pass on to the living. Not unlike H1N1 it is passed on by human contact. Those that come in contact with such December ghost tend to pass them on as they run through their daily life. And this ghost flu is more on psychological levels then just showing the symptoms of formal or hyper haunted flu. A Haunted Flu as many refer to it is a haunting that besieges itself upon you and tends to last for a week or two. The symptoms range from nightmares to feelings of horror or great loss or fears culminating in emotional and physical collapse. A real ghost flu is actually paranormal attack where is more then one ghost or supernatural being besets itself upon the living. The symptoms range from the chills of the grave to a feeling of fright or intense uneasiness. Some call it feeling that they describe as a living person, or a possum walking over their grave as they say in Marshall, Texas. More Suicides seem to occur in the month of December. As do serious accidents and tragic deaths that make the news headlines each year as Christmas and New Years approaches. It seems we often end each year with the worse case situations about to blow or overwhelm us. This many correlate with why as adults we often dread the end of the year and the months many festive occasions. It might be a depressed ghost attacking you are causing you undue stress. Or a pack of infernal spirits using you as their target. The solstice itself may have been a special moment of the annual cycle of the year even during neolithic times. Astronomical events, which during ancient times controlled the mating of animals, sowing of crops and metering of winter reserves between harvests, show how various cultural mythologies and traditions have arisen. It is also a time when the dead morn for the living, or fall in depression where they long to comfort their living loved ones. This is attested by physical remains in the layouts of late Neolithic and Bronze Age archaeological sites such as Stonehenge in Britain and New Grange in Ireland. The primary axes of both of these monuments seem to have been carefully aligned on a sight-line pointing to the winter solstice sunrise (New Grange) and the winter solstice sunset (Stonehenge). Significant in respect of Stonehenge is the fact that the Great Trilithon was erected outwards from the centre of the monument, i.e. its smooth flat face was turned towards the midwinter Sun. The winter solstice may have been immensely important because communities were not certain of living through the winter, and had to be prepared during the previous nine months. Starvation was common in winter between January and April, also known as the famine months. In temperate climates, the midwinter festival was the last feast celebration, before deep winter began. Most cattle were slaughtered so they would not have to be fed during the winter, so it was almost the only time of year when a supply of fresh meat was available. The majority of wine and beer made during the year was finally fermented and ready for drinking at this time. The concentration of the observances were not always on the day commencing at midnight or at dawn, but the beginning of the pre-Romanized day, which falls on the previous eve. Saturnalia Originally celebrated by the ancient Greeks as Kronia, the festival of Cronus, Saturnalia was the feast at which the Romans commemorated the dedication of the temple of Saturn, which originally took place on 17 December, but expanded to a whole week, up to 23 December. A large and important public festival in Rome, it involved the conventional sacrifices, a couch set in front of the temple of Saturn and the untying of the ropes that bound the statue of Saturn during the rest of the year. Besides the public rites there were a series of holidays and customs celebrated privately. The celebrations included a school holiday, the making and giving of small presents (saturnalia et sigillaricia) and a special market (sigillaria). Gambling was allowed for all, even slaves during this period. The toga was not worn, but rather the synthesis, i.e., colorful, informal "dinner clothes" and the pileus (freedman's hat) was worn by everyone. Slaves were exempt from punishment, and treated their masters with disrespect. The slaves celebrated a banquet before, with, or served by the masters. Saturnalia became one of the most popular Roman festivals which led to more tomfoolery, marked chiefly by having masters and slaves ostensibly switch places, temporarily reversing the social order. In Greek and Cypriot folklore it was believed that children born during the festival were in danger of turning into Kallikantzaroi which come out of the Earth after the solstice to cause trouble for mortals. Some would leave colanders on their doorsteps to distract them until the sun returned. Thus the creatures became the nucleus of the haunted virus that still plagues the living even today. Wayeb' or Uayeb, referencing the unlucky god N, were actually five nameless days leading up to the end of the Haab, the solar Maya calendar. It was thought to be a dangerous time in which there were no divisions between the mortal and immortal worlds, and deities were free to cause disaster if they willed it. To ward off the spirits, the Maya had a variety of customs they practiced during this period. For example, people avoided leaving their houses or grooming their hair. Calendar Round rituals would be held at the end of each 52 year round (coincidence of the three Maya calendars), 4 wayeb to 1 Imix 0 Pop, with all fires extinguished, old pots broken, and a new fire ceremony symbolizing a fresh start. The next Calendar Round will be on the winter solstice of 2012, beginning a new baktun. Haab' observations are still held by Maya communities in the highlands of Guatemala. And of this haunted time as it approaches and many believe that such spirits arise today to plague us as it was foretold. These spirits or why many believe the H1N! came or started it's devastation in Mexico and the Yucatan Peninsula. Yule In Wicca, a form of the holiday is observed as one of the eight solar holidays, or Sabbat. In most Wiccan sects, this holiday is celebrated as the rebirth of the Great God, who is viewed as the newborn solstice sun. Although the name Yule has been appropriated from Germanic and Norsk paganism, elements of the celebration itself are of modern origin. Though many spirits and evil forces that surround this special time or ageless. Ziemassvētki In ancient Latvia, Ziemassvētki, meaning winter festival, was celebrated on December 21 as one of the two most important holidays, the other being Jāņi. Ziemassvētki celebrated the birth of Dievs, the highest god of Latvian mythology. The two weeks before Ziemassvetki are called Veļu laiks, the "season of ghosts." During the festival, candles were lit for Dieviņš and a fire kept burning until the end, when its extinguishing signaled an end to the unhappiness of the previous year. During the ensuing feast, a space at the table was reserved for Ghosts, who was said to arrive on a sleigh. During the feast, certain foods were always eaten: bread, beans, peas, pork and pig snout and feet. Carolers (Budeļi) went door to door singing songs and eating from many different houses. The holiday was later adapted by Christians in the middle ages. It is now celebrated on the 24th, 25th and 26th of December and largely recognized as both a Christian and secular cultural observance. Lithuanians of the Romuva religion continue to celebrate a variant of the original polytheistic holiday. December is the twelfth and last month of the year in the Gregorian Calendar and one of seven Gregorian months with the length of 31 days. In Latin, decem means "ten". December was also the tenth month in the Roman calendar until a monthless winter period was divided between January and February. The winter solstice occurs at the instant when the Sun's position in the sky is at its greatest angular distance on the other side of the equatorial plane from the observer's hemisphere. The seasonal significance of the winter solstice is in the reversal of the gradually lengthening nights and shortening days. Depending on the shift of the calendar, the winter solstice occurs some time between December 21 and December 22 each year in the northern hemisphere, and between June 20 and June 21 in the southern hemisphere, during either the shortest day or longest night of the year. Though the winter solstice lasts an instant, the term is also colloquially used like "midwinter" to refer to the full 24-hour period of the day on which it occurs. Diagram of the Earth's seasons as seen from the north. Far right: December solstice Worldwide, interpretation of the event has varied from culture to culture, but most cultures have held a recognition of rebirth, involving holidays, festivals, gatherings, rituals or other celebrations around that time. The word solstice derives from Latin sol (sun) and sistere (to stand still). December's flower is the narcissus or holly. Often thought to repel ghosts and evil spirits. December's birthstones are turquoise, lapis lazuli, zircon, topaz (blue), or tanzanite. December is the month with the shortest daylight hours of the year in the Northern Hemisphere and the longest daylight hours of the year in the Southern Hemisphere. December starts on the same day of the week as September. Special events in December that often trigger ghost sightings and encounters often include on specific marked calendar holidays. Fukuoka Marathon is held on first Sunday in December. In the Ásatrú religion, Egil Skallagrimsson's Day (December 9) is a day of remembrance for the Viking hero. Nobel Prizes awarded (December 10) on the anniversary of Albert Nobel's death. Honolulu Marathon is held on second Sunday in December. Day of Reconciliation in South Africa (December 16). Deaths in December seem to hold some type of deeper tragedy on a persons soul then any other month of the year. The month is ruled by Sagittarius going into the sign of Capricorn. In late seventh century Japan, festivities were held to celebrate the reemergence of Amaterasu or Amateras, the sun goddess of Japanese mythology, from her seclusion in a cave. Tricked by the other gods with a loud celebration, she peeks out to look and finds the image of herself in a mirror and is convinced by the other gods to return, bringing sunlight back to the universe. Requiems for the dead were held and Manzai and Shishimai were performed throughout the night, awaiting the sunrise. Aspects of this tradition have continued to this day on New Years. Christmas or Christ's Mass is one of the most popular Christian celebrations as well as one of the most globally recognized midwinter celebrations. Christmas is the celebration of the birth of the Christian Deity God Incarnate or Messiah, Jesus Christ. The birth is observed on December 25, which was the Roman winter solstice upon establishment of the Julian Calendar. Christian churches recognized folk elements of the festival in various cultures within the past several hundred years, allowing much of the folklore and traditions of local pagan festivals to be appropriated. So today, the old festivals such as Jul, Коледа and Karácsony, are still celebrated in many parts of Europe, but the Christian Nativity is now often representational as the meaning behind the holiday. This is why Yule and Christmas are considered interchangeable in Anglo–Christendom. Universal activities include feasting, midnight masses and singing Christmas carols about the Nativity. Good deeds and gift giving in the tradition of St. Nicholas by not admitting to being the actual gift giver is also observed by some countries. Many observe the holiday for twelve days leading up to the Epiphany. A Christmas Carol (originally, A Christmas Carol in Prose, Being a Ghost Story of Christmas) is a novella by English author Charles Dickens (7 February 1812 – 9 June 1870) about a miserly curmudgeon and his secular conversion and redemption after being visited by four ghosts on Christmas Eve. The book was first published on 19 December 1843 with illustrations by John Leech, and quickly met with commercial success and critical acclaim. The tale has been viewed as an indictment of nineteenth century industrial capitalism and has been credited with returning the holiday to one of merriment and festivity in Britain and America after a period of sobriety and somberness. A Christmas Carol remains popular, has never been out of print, and has been adapted to film, opera, and other media. Karachun, Korochun or Kračún was a Slavic holiday similar to Halloween as a day when the Black God and other evil spirits were most potent. It was celebrated by Slavs on the longest night of the year. On this night, Hors, symbolising the old sun, becomes smaller as the days become shorter in the Northern Hemisphere, and dies on December 22nd, the December solstice. He is said to be defeated by the dark and evil powers of the Black God. In honor of Hors, the Slavs danced a ritual chain-dance which was called the horo. Traditional chain-dancing in Bulgaria is still called horo. In Russia and Ukraine, it is known as khorovod. On December 23rd Hors is resurrected and becomes the new sun, Koleda. On this day, Western Slavs burned fires at cemeteries to keep their departed loved ones warm, organized dining's in the honor of the dead so as they would not suffer from hunger and lit wooden logs at local crossroads. Lucia, Feast of St. Lucy (Ancient Swedish, Scandinavian Lutheran, Eastern Orthodox) Lucia or Lussi Night happened on December 13, what was supposed to be the longest night of the year. The feast was later appropriated by the Catholic Church in the 16th century as St. Lucy's Day. It was believed in the folklore of Sweden that if people, particularly children, did not carry out their chores, the female demon, the Lussi or Lucia die dunkle would come to punish them. Lisa Lee Harp Waugh The American Necromancer see's the month as a time Of vengeful ghosts and spirits plaguing the living as well as one where spirits of love and caring wage war in the unseen world around us. Many good spirits and caring souls set out to thwart the evil dead and those terrifying creatures that try to overwhelm us. "Just as many believe the true spirit of Christmas Santa Claus is dispelling the dark of winters nights evil ghosts and And the nutcracker fights off the evil rats in the dark of the silent night." "We all pray that goodness will prevail!" States Lisa Lee Harp Waugh. "When the great black darkness falls on December 21, 2012 on this cursed Yule Night. ... All we have is hope!" Premonitions of Death and horror often haunt this month as it it a time for gremlins and dark howling wolves calling in the night. The I'll Be Home For Christmas ghosts! Many of these ghosts are often the spirits of those that recently died. and return home to tell lovers goodbye. Many psychics around the world will not explore the world of the dead at this time because so many are trying to communcate at once. Many psychics claim they shut themselves down. Or simply turn their powers to speak and contact real ghosts totally off. This is traditionall done from the 1st Day of Christmas thru twelfth night January sixth. Psychic Reese Smith tells me that ghosts seem to put in special appearences at this time like former owners of homes and special family memebers that had in the past good times in a special old home. And these ghosts like the one of Danial Knaipe that visits Smith every year in his Historic Haunted Home in Marion, North Carolina. "I have personally seen and heard the ghosts of the Knaipe Family each year since I bought this real haunted house. And they seem to be most active each year as Chritmas approaches." This year I saw the ghosts of Danial Knapie one of the only living survivors of the Little Bighorn. He appeared before me as a real solid person with a big smile on his face then simply disaapeared. Stated Smith. The Voodoo Hoodoo Peeping Ghosts of Louisiana. The ghosts of New Orleans at Christmas time have a special quality that many same came over with the mixture of the Italian, French and Spanish cultures. Mix in a little Creole and a hood hex or Chritamas JU- JU and you will hear tale of the ghosts that only come to your door and or visble through a peephole or a small peephole people use to spy out their window and see who are standing on their front door step. What usually happens is the ghosts of a loved one or former owner of home comes to call. You hear a knock on the door on Chritmas Eve or Chritmas day. Then you peek to see who is there and you might see a familiar face. You might even call out and ask who is there only to hear a voice muffled saying it's cold let me in. But as you open the door and Decembers Death chill fills your house you then only realize that no one is there. The Peeking ghosts is said to go back to the days when New Orleans Voodoo Queens promised spells of returning lovers from wars or far distances. Many believe it was there the Great Dr. John who first put this spell over the Cresent city. Others pin it to Marie Laveau or even The Great ghede Baron Sameidi himself. The particular hex or spell on certain old New Orleans homes and cottages or said to be caused by the returning dead. They come to the door and beg or knock for entry. They only wish to enter the warm home and collect the energy the dwells within to take back with them to the otherside. Lisa Lee Harp Waugh states that prayers are often answered at this time of year and she states that all should pray for peace in our world. DVD release New Year’s Day. 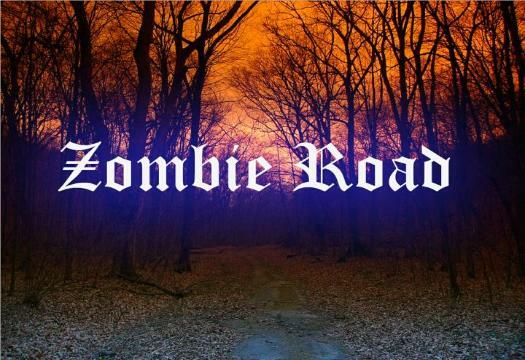 The long awaited documentary from Paranormal Task Force www.paranormaltaskforce.com is bringing the truth about the infamous and controversial Zombie Road straight to the viewers. Legacy of Shadows is an in depth look at the history, carnage, hauntings, and investigations that have taken place on this abandoned St. Louis road. Producer/director Jeremiah Niere tackles this enigmatic paranormal hot spot with guile and edginess in his debut film. L.O.S. is compiled of reenactments, eyewitness testimony and actual paranormal footage captured by Paranormal Task Force. PTF is comprised of nationally recognized paranormal “experts” with a littany of experience in field investigations. PTF made it’s film debut in the Booth Brothers film “Children of the Grave” which aired on Syfy, and has gone on to take part in several other feature films. For more information on “Legacy of Shadows,” or to schedule an interview with Jeremiah Niere please email jay@paranormaltaskforce.com, or call 314-402-4535. To schedule an interview with Paranormal Task Force founder Greg Myers please email greg@paranormaltaskforce.com.